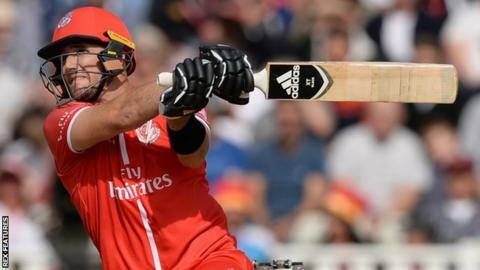 But his form dipped in 2018, along with most of Lancashire's top order, and they suffered relegation to Division Two in the County Championship. "A big part of me wanted to continue leading the side," said Livingstone. "But I have to put the team's interests first and the best way for me to help Lancashire is to ensure that I'm performing consistently to the best of my abilities in all formats of the game. "My decision to stand down is something I've thought long and hard about. I hope that the opportunity to captain Lancashire will come again once I've been able to perform at the highest level on a consistent basis. "As a senior player, I will support the team in all ways possible and I'm determined to put in some more match winning performances for Lancashire." In Lancashire's 14 County Championship Division One matches in 2018, no batsman made 1,000 runs and only four topped 500. Lancashire, who were relegated by a point, did not manage the maximum five batting bonus points in any of their 14 games. That was enough to earn him a place in the England Lions one-day and T20 squads for this month's trip to the United Arab Emirates to play Pakistan A. But, in his 10 Championship matches he made just 336 runs, averaging only 24 and not once reaching a fifty in 16 innings. "We fully support his decision to stand down as captain," said Lancashire head coach Glen Chapple. "It's a very brave and selfless one for him to make. Having him solely focused on scoring runs for Lancashire will be for the good of the team. "Being a 24-year-old captain at a big club like Lancashire is not easy. He showed a huge amount of character in leading the side, despite the disappointment of the injury he picked up halfway through the season and his fluctuating form. "Liam's qualities as a captain are not in question and we both agree that Liam needs to be performing at his best for the team to be successful in 2019. We would welcome Liam back as captain should the opportunity present itself at any time in the future."